DEBORAH CROMBIE: There has always been this public perception of the writer as an isolated, anti-social loner, scribbling (or typing) away in his or her ivory tower. J.D. Salinger, anyone? But are writers really introverts? 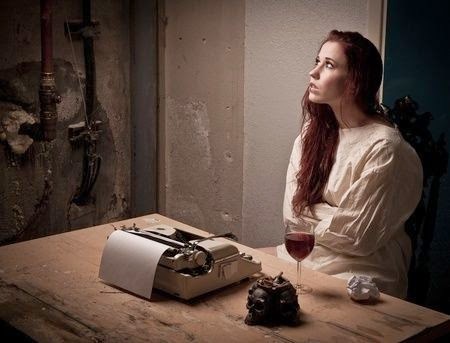 From personal experience I do know that writers must have the ability to spend a good deal of time alone (except for the characters in their heads.) But maybe "internally focused" is a better description. Jane Austen wrote all her novels in her family's parlor, with domestic life going on around her. Many of us like writing in coffee shops, or airports, or libraries, places there is a buzz of activity that is not personally connected. When I'm home, although I have a very nice upstairs office, I tend to write downstairs, in the guest room (which looks out onto the street), in my sun porch, or on my deck in nice weather, all place where there are cats and dogs and all manner of things going on. When I was in London last month, I spent two weeks writing in a very quiet flat, completely alone. It was...weird. So, REDS, introvert of extrovert? Or a combination of the two? HALLIE EPHRON: I am so not an introvert, so one of the things I find most difficult about being a writer is all that alone time. And no, I cannot write in airports or coffee shops or libraries, or with the TV or music going. Lunches and phone calls with writing buddies are my antidote to loneliness. LUCY BURDETTE: I'm a mutt when it comes to introvert/extrovert. Walking into a bar or party by myself feels like torture--reminds me of my shyest days in junior high and high school. But if it's a group I know, or a group of friends, I'm fine. My hub John is shy that way too. On our honeymoon, the small hotel we were staying at hosted a cocktail party for the guests, many of them also newly married. The manager had to take us around and introduce us to people because we were so bad at mingling! As for writing, I can do it on a plane. But not a coffee shop. Best of all, in my own room! RHYS BOWEN: I am definitely not an introvert! I love being among people. I've always been a joiner and especially love being among a group of like-minded women (Jungle Reds, for example). Having said that, I need my alone time too. If I'm with a big group, a family gathering over a holiday or especially a mystery convention, I need to escape to my room every once in a while. There is no way I could write in a coffee shop. I'm too aware (and too interested) in what is going on around me. But I do write on planes, or even at airports. At home it has to be in my office, or I'm too distracted. And no music, either. HANK PHILLIPPI RYAN: I am the shyest person you will ever meet. I am so fine by myself, writing at home, it may be where I am the most comfortable. I can write anywhere really. It must be all those years of writing news stories in the midst of fires and in hurricanes and in moving cars and with people yelling. I can just put up a little bubble and become--essentially alone. Except if I'm home writing alone--there cannot be noise. Weird, huh? Music? Impossible. If there are lyrics, I end up focusing on those words instead of my own. Parties? Yeesh, I am terrified. Conventions, yeesh, I am terrified. So if you see me at one of those things, come talk to me, okay? So, out of our writer/readers, do you see yourself as introverted or extroverted? And READERS, what's been your personal experience with writers? 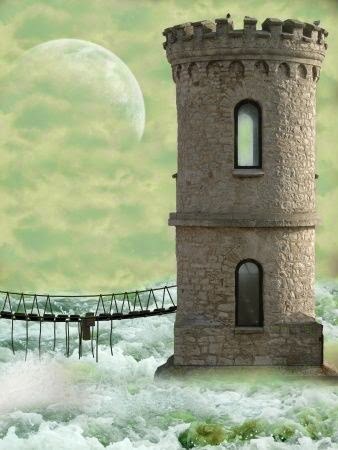 Do you see writers as outgoing, or as ivory-tower recluses? P. S. The cocktail parties I very occasionally attend are not nearly as glam as the one in this photo:-) Maybe I don't hang out with the right people? All of the writers that I've had the pleasure of meeting were, without exception, friendly and out-going and a real pleasure to meet. Certainly made my day . . . . I can write anywhere except my own house when the TV is on and other people are around. Then I leave for the library or coffee shop. I spend a lot of time alone. I am content on my own, I know how to take care of and entertain myself, I'm not afraid to eat in restaurants on my own, etc. I love the solitude--until I don't. Then I want to be somewhere with 600 people. I was very shy and felt overlooked as a kid, but that made me observant. At some point, I figured out that it you want to be heard, you have to speak. Hence, at parties or conventions, I am friendly (I hope not forward). Pity the person sitting next to me, because I will ask you your life story. I'm with Hank-- no noise, no music, never music, if I'm writing at home. English has a rhythm. Music has a different rhythm. I need to hear the rhythm of my words, not of some song. Writing away from home? It depends on how desperate I am to get something down on paper/into the computer. Panic will shut down everything around me. That said, I'm easily distracted-- I'm here, on line, right now, right? I was painfully shy until I got out of law school, back in the day when no one would hire a woman lawyer, and lawyers couldn't advertise. So I taught night school (in the police science program-- little girl in a miniskirt in charge of a room full of big burly policemen and firemen-- to cover the rent, and learned to over-prepare so I wouldn't be scared if I had a court case or if someone was paying me to give a speech, and I even ran for office to get my name out there. And along the way, I got over the shyness and turned into a totally social person. So when the actual writing is done, I'll go to the grocery store just to chat up the check-out clerk, walk the dog just to talk with other dog walkers. Indeed, I probably have the dog so I can talk to him. What I don't like is having to look like a human being, having to wear a bra and comb my hair, etc. So when the social need strikes, I prefer the telephone, where no one can see me, or chat places like this one. Being social while being unseen is the best. Yeah, that Hank Phillippi Ryan really needs to come out of her shell. She just blends into the crowd. YEAH, RIGHT! I am sort of the hybrid as well. I really don't do well in large crowds of folks I do not know. But put me in a gathering of friends, and hardly anyone would call me in introvert. Oddly, I do fine at the mystery conventions, but that's probably because I know I am surrounded my folks that love what I love, so even if they are strangers, they don't feel like strangers. Shy - pfft - no. Not in the least. I took the Myers-Briggs test at some point and of all things I clearly remember the facilitator saying was that many introverts can appear to be the most social of animals. IF they're able to be with people they sincerely enjoy, in a setting that's comfortable for them (preferably of their own choosing) at a time of their own choosing. That resonated with me. He did say, also, that the inventor of email was probably an introvert and that makes perfect sense to me too. I love the fact of email as my preferred method of communication. I am so not a telephone person. Have any of you read Susan Cain's "Quiet: The Power of Introverts in a World that Can't Stop Talking?" Oh, how I love this book! Count me in with the "large groups of strangers terrify me, but I'm good with a group of friends" club. And I am very much okay on my own. In fact, I often need "alone time" to decompress after social occasions, even family holidays (it's great having family over - and it's great when they leave). And I think that's really the mark of an introvert. Introverts recharge their batteries through alone time, not in large groups of people. Growing up in a noisy house, I can write anywhere: with or without the TV, with or without music, coffee shops, neighbors arguing, fire alarms, you name it. Home or away, doesn't matter. Like Hank, the "bubble" goes up and I'm in my own world. So now I realize why I'm so chatty with complete strangers at the supermarket! Used to embarrass my kids terribly. To echo what Mary said, I can do the social thing well enough, but doing it drains me, it doesn't recharge me. I need alone time to recharge, which I think makes me an introvert. I write at home with near-quiet--meaning house noises (or husband noises), but no media playing. I probably could write in a coffee shop, if I really wanted/needed to, but I don't choose it--mostly because at home I can be in sloppy clothing! I, too, find the start-up talking at conventions difficult. So if you see me, please come talk to me too! Ramona--interesting comment on being shy as a kid and therefore observant. Maybe all good writers were slightly shy, or at least out of the popular loop as kids and thus learned to observe. That certainly applied to me. I didn't interact well with other kids. I was moved from school to school so was always on the outside, looking in. I think maybe there is a distinction between writers like my uncle, who are storytellers, and those of us who are just curious about people. I talk to people because I want to know about them, whether it's the clerk in the supermarket or someone I meet at a book signing or a conference. I do not, however, talk to people on airplanes. I try to smile and be polite to my seatmates, but that's it. That's quiet time for me and I don't want it interrupted! (And I don't want to get stuck next to someone who talks non-stop for three or four or ten hours... And the coffee shop writing thing only works for me if I'm anonymous. I tried for a while writing at a coffee shop on our town square, but every five minutes someone walked in who knew me. Kent Krueger writes in two different coffee shops every day, the same two, so wonder how he manages that? I'm a weird mix as well. I need to get out and spend time with friends. However, there are days I'd be quite happy at home by myself. I think part of that is the people I know via the internet. Still, at some point, they aren't a great substitute for real people. And Hank, I'm with you on conventions. If I'm in a group of people I don't know, I tend to stick to the shadows or cling to the people I do know. I'm seriously working on it, though.. I actively tell myself: GO MINGLE. And some wonderful things have happened as a result. Public speaking, though, panels and speeches? I'm fine, happy to do that! I took the Myers-Briggs test at an early job and learned that introversion means you recharge or get energy from being by yourself; extroversion means you get it from being with other people. In Quiet, Susan Cain says true shyness, OTH, is considered a form of anxiety, unrelated to intro/extroversion. So while shy people are almost always introverts, an introvert isn't necessarily shy. I consider myself an ambivert. And no music while I write, except maybe bird song and cat yowling! I've been a musician, and if it's playing, I get distracted by wanting to listen! Not sure I could write in a coffee shop -- certainly not around here. They're all too small and I know everyone in town -- everyone who came in would want to chat! I'm another one of those people who dread being in a group of strangers but don't mind being with friends and family - IF the friends and family understand that I may not always want to say something. In a group of strangers, I am quite comfortable with being silent, although it wasn't always that way as I was growing up. Too many adults asked the child Deb "what's WRONG with you? Can't you talk? Cat got your tongue?" At this point, I've met Reds Hank and Lucy/Roberta, both of whom were gracious and friendly. They seemed quite comfortable with talking with lots of strangers! Oh, and I keep forgetting that I know a local elderly man who has had nearly 20 travel books published, and is awaiting publication of his 20th very shortly. He comes to my office for one reason or another throughout the year, mostly to have someone to talk to, I think. He's quite outgoing and talkative. I've seen parts of his most recent book at various stages along the way. The last time he was in the office I told him I can't wait to buy his book. His response: "Oh, no, dear; you can't afford it! Borrow it from the library. I'm donating a copy." I often said that I was either an introverted extrovert or an extroverted introvert until I ran across the term 'ambivert.' Thank goodness, I discovered it. I kept resisting being called an 'extrovert' because of other people's perceptions.I knew that I also needed quiet and reflection and that I was observant of others' moods and behaviors. I believe that most writers are ambiverted and since ambiversion is a more balanced emotional perspective on life, most writers are more normal than people who don't write. (I have a feeling that's a prejudiced conclusion). I can write anywhere as long as my internal 'atmosphere' is positive. Great topic today! Introvert, extrovert, ambivert? I don't think we can pigeonhole ourselves this way in terms of writing. To be a writer is to love language, to love stories, to feel driven to put pen to paper or fingers to the keyboard. To have the stamina to keep doing it and ignore those inner voices that whisper nonsense in your ear. And, as we've seen in the comments above, the image of the lonely writer depends on the writer! Like Mary, I grew up in a noisy household--eight kids, assorted cousins, neighbors, friends, dogs, cats.... I can pull that bubble over me like a snow globe and be anywhere I need to be in terms of my writing. Outside of writing, I'm an introvert. Plan a party for a houseful of family and friends? No problem. Stick me in a party full of strangers, I'm the one sticking close to the only person I know, listening, not jumping in, although I try to remember all the advice--ASK people questions, get other people talking. Rhys, I grew up in a biggesh family, and most Sundays a bunch of aunts, uncles, cousins, and friends descended on my grandmother's house for dinner. It was like a circus, and I was the quiet mouse who sat and watched everything that went on. When I hit high school, I was over being shy, but by then I had the goods on my whole family. You really do have to watch out for the quiet ones! I'm definitely an introvert. The more I get to know people in the writing community, the less stressful it is to be alone in a room with hundreds of strangers--because they're not strangers anymore. And I think having to write on my lunch break at a desk shoved into the corner of a stockroom of designer clothes, where my coworkers came and went, taught me to be able to write anywhere. These days I just need some variety. It might be home, or a library, or a coffee shop, or it might be the kitchen instead of the office. Whatever jogs the brain! Leslie and Bonnie, I love "ambivert!" I'd never heard that, but it's perfect. While I like meeting and talking to new people, I'm also very happy in my own company. I actually like going out on my own to restaurants, pubs, and coffee shops and very seldom feel uncomfortable about it. I like observing other people. I think people with the social-anxiety type of shyness worry what people are thinking about THEM. I grew up with a father who was a real estate broker and never met a stranger. I can remember my mother and I going shopping in a mall and leaving him sitting in the middle of it. When we returned, he would be chatting away with someone. I've gotten more and more like him as I've gotten older. Like Debs said, I'm interested in people, be it the waitress serving my food or the authors I so admire. I believe you can learn from anyone, and I usually find something interesting about their lives or life in general or a subject on which I'm not well versed. That doesn't mean that I don't have my moments of hesitancy. Like many here, large crowds of strangers can be challenging. However, if that large crowd of strangers is at a book event or convention, I am in my element and can take up talking with anyone and everyone. My first Bouchercon last September was a constant chain of conversation from fellow book enthusiasts to the authors over whom I drooled. Authors. Although I am no longer blown away at their friendliness and eagerness to talk with fans, I am always appreciative of the ease at which they put me. Meeting the Reds at Bouchercon was so important to me, and everyone of you was the essence of accessible and grace. Debs, I remember my friend and I talking to you upstairs at the reception where you were sitting behind one of the signing tables for free books (I completely misunderstood how that worked, but the conversation with you was so worth it), and you were so friendly, talking about your daughter's upcoming wedding the next weekend. My friend and I marveled at your calm and ability to focus on the convention and fans with such an important event only a week away. Happy you made me. And, all other Reds were just as easygoing and fabulous. Rhys didn't even bat an eye when I first mispronounced her name. And, Hank, you shy? Never would have thought it. Oh, and Kristopher, meeting you was great and felt like talking to an old friend, too. And, like Rhys and Debs, I also like some alone time, much of that time to read. I don't mind going to a restaurant alone and taking a book, although most of the time I end of talking to my waitress/waiter, especially at my favorite haunt. I have friends who say that they could never go out to eat alone, but to me it's a pleasant experience, not that I don't love to go with friends, too. Oh, and one more thing. I cannot imagine how writers write with music playing or in coffee shops. I can't read with music. Sometimes I wish I could, but I need quiet. Kathy, I can't read with music playing, either. I very seldom even drive with music on. My brain does not seem capable of processing music at the same time as anything else. Now that's an interesting topic? Age/generational related, or dyslexic brain function? Couldn't agree more Kathy. The Reds are one-of-a-kind. And it was lovely to meet you at Bouchercon. I always ask myself if I should wear my BOLO Books shirt to an event and then I remember that if I was not wearing that at Bouchercon, I would never have met Kathy Reel. So, I wear it hoping that I will meet others like you! It's funny how we're all so different. I love having music in the background when I'm writing and definitely prefer no lyrics. The rhythm of the music influences my writing, so depending upon what I'm writing, I may want different types of music. I do fine at writing in public places and can usually pop up that bubble that Hank described. Yet, at home, the least distraction is exactly that! And parties? Mingling? Ugh. Maybe I need therapy. Ambivert -- that's me!!! Thank you. Constant battle between social polarities. I actually came to writing as a vehicle for wanting to share with people (I pictured myself giving talks on the important issues discussed in my books). I'm introverted, but would listen to what's going on in the coffee shop. Can't type there because I don't own a computer (the library won't let me take their desktop computers to Starbucks, ha ha). A coffee place would be too noisy for me to do anything, even surf the Internet. I like quiet to concentrate and wear earplugs to shut out the noise (and also while sleeping). I may be an introvert because I was teased and bullied in school. I do like to talk, though. Even as an adult, let's fact it, not everyone is nice and some people complain too much and can be very annoying so that's why I like to retreat to my room, read, and listen to music. My anxiety makes me shy. Like Ramona, I can eat in restaurants alone. I've also traveled alone and gone to movies alone. Kristopher, you are too sweet. You made me smile an ear to ear grin. Thanks! Debs, I'm so sorry I missed this today!